March 13, 2014, 10:27 a.m.
By Ken Doctor @kdoctor March 13, 2014, 10:27 a.m.
AUSTIN — What’s one of the first principles of building a new digital business? “Make sure you lose money for at least three years,” VG CEO and editor Torry Pedersen told a London publishing crowd last week. There were some chuckles among the Digital Media Strategies audience, but behind the comment is a deep strategy: Invest. “You can’t have much revenue in infancy,” he told me later that day. Now it’s adding pages to that same playbook as it tackles digital TV, and that’s what Pedersen had come to London to talk about. Schibsted’s VG or Verdens Gang (“The way of the world”) is Norway’s most-read tabloid daily, though it has suffered print declines along with the rest of the industry. It’s its website, VG.no, that has grown as print has shrunk — VG.no is now Norway’s largest digital news site by far. VGTV is a product unlike any other I’ve seen come out of a news company. (Its sister tabloid in Sweden is running a parallel venture called AftonbladetTV.) HuffPost Live is the closest in comparison (“The newsonomics of leapfrog news video”), but VGTV has wider aims. It’ss news, sports, fashion, health, movies, music, and lots more. These are all topics covered by newspapers, but VGTV, a product of a legacy newspaper company, looks and feels (at least through Google Translate) like something new. Not broadcast TV, but the beginning of what we might begin to call native TV. VGTV has been building for a year plus and now has a separate staff of 25 to 30, which is planned to rise to 50 by year’s end. It’s now separate from the mothership, just as digital and mobile once were. Just as both those businesses have been reintegrated into the news business, some day — after it is well established — VGTV is intended to be as well. 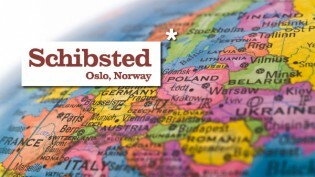 Schibsted is still mostly a secret outside Europe, where news media leaders know it well. Mention it to many North American publishers, and you have to spell it. That’s a shame. The Schibsted model, which I first wrote about in detail in 2012, offers telling lessons for all publishers, large or small, global or local. We can see — in retrospect — how Schibsted protected its home Nordic markets against the inroads of Google, Yahoo, and others better than its peers in the western world. In letting its digital sites compete with its newspapers early on, it enabled online growth, while too many of its peers kept moving the deck chairs inside and out, between integrated (with the print business/newsroom) and separated digital operations. It re-envisioned digital classifieds and then played market leadership cutthroat, reducing Craigslist to an also-ran and becoming a leader in global digital classifieds and related businesses, now owning or partnering with efforts in 29 countries on four continents. VGTV is a next-generation business investment. It’s aimed at an audience that news properties, offline and even online, often don’t do a good job of reaching: young people. VGTV is a serious and entertaining effort at growing substantial audience among video-centric, tablet-using, smartphone-punching youth. Norway is one of the most advanced digital markets in the world. Consider its leading adoption curve: 85 percent of Norwegians use the Internet daily, 79 percent have a smartphone, and 52 percent have a tablet. VGTV is still a tiny speck in the overall TV market: “We are a mosquito,” says Pedersen. “But we are an annoying mosquito.” That may be true in terms of traditional TV watching and TV ad spending, but as we look at the Norwegian streaming market, the competition gets more interesting. VGTV leads the country’s two largest broadcasters, NRK and TV2, in overall audience. Competitive daily Dagbladet, which has also gotten into the web TV business, is the No. 3 player overall. Almost 12 percent of the population watches streaming TV daily, via one or more of those four players. VGTV can count an average of 183,000 daily watchers. 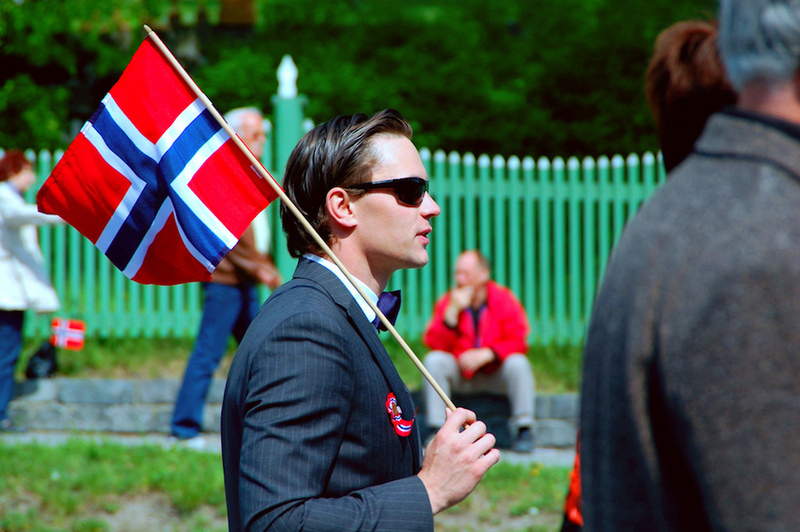 (Norway’s population is a little over 5 million, or roughly the size of Colorado.) VGTV watchers spend an average of 10 minutes a day watching, less than watchers of traditional TV. So: More come in, but they consume smaller bits, as they choose among the numerous choices VGTV offers. Viewing time for VGTV, overall, increased 40 percent year over year, by far the greatest growth among streamers. What do VGTV watchers watch? It’s a mix of live coverage and programming. Last year, VGTV produced 762 live sessions, and it’s currently running 21 programs a week. Much of the news is from around Norway; while VGTV operates as a separate entity, it’s tightly connected to the VG newsroom, with reporters contributing to the news report. Recently, VG sent reporter Brynjar Skjærli to Kiev to produce video reports on the popular uprising. The reportage put Skjærli in the thick of Maidan, the square that has been the epicenter of civic revolt. 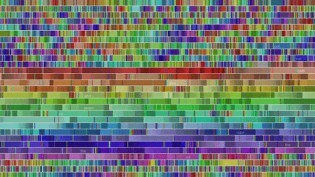 It’s TV, but web-like TV, without the overproduction that can characterize legacy TV coverage. Featured on VGTV, the video also bolstered coverage on VG.no. The World Chess Championships also won huge viewership, with an average of viewing time of 39.4 minutes, as twenty-three-year-old Norwegian Marcus Carlsen was victorious. 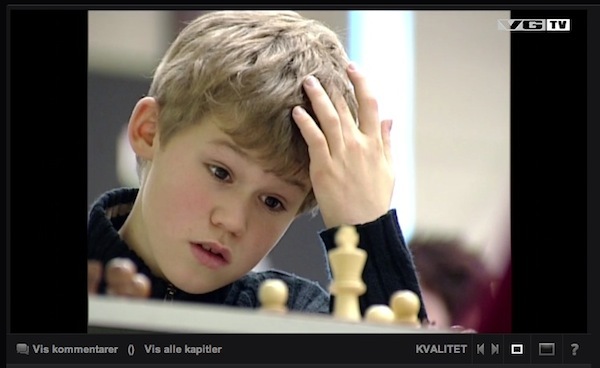 VGTV’s 10-part English-language documentary on Carlsen has been viewed by 780,000 people. You get the feeling that much of web TV business can’t be planned. The best of it may be opportunistic. Isn’t that the way newspapers in print long prospered — seeing an opening and moving in? Philosophically, VGTV doesn’t offer set-time news programming. As it covers news, it continues its coverage as long as it thinks it’s merited. That boundary breaking is significant. It’s a shapeshifting media world. TV from a newspaper company. Text digital news (and more) from a local broadcaster, as I recently wrote about as Scripps’ WCPO-TV added 20 digital news staff members, plunged into in-depth work, and is beginning to give Gannett’s Cincinnati Enquirer a run for the online money. 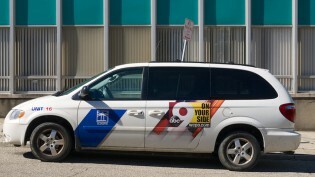 VGTV and WCPO are flip sides of the same coin. They show us that media is media — in smarter hands. Newspapers don’t need to be held back by the printing press. 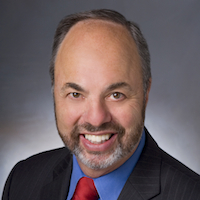 TV stations can move beyond the constraints of news-at-6 formulas. Both forays attempt to get in early — before it’s clear how the money in digital news and video may work. It’s easy to lampoon such efforts, or trot out the cliches about the pioneers being the guys with the arrows in their backs. Native TV may be a rounding error in Jimmy Kimmel’s financials, but it seems fresh, agile and about to be more impactful, as the toggle between small screen, medium screen, and living room screen becomes less stressful. At SXSW, one couldn’t help but be reminded by how foundational technology is to the new news business, in all its forms. As the full five-day program underlined that fact, one statistic offered by Torry Pedersen kept returning to me. It amazed everyone I mentioned it to in Austin. Schibsted, says Pedersen, decided it needed a lot more programmers to build out its products. What did it do? 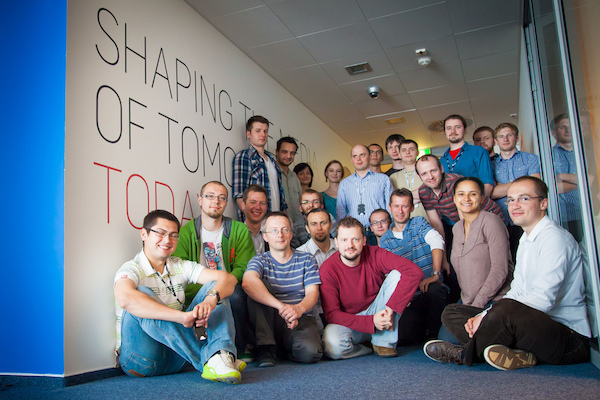 It recently opened its own tech facility in Krakow, Poland — with a staff of 150. That’s only about a two-hour flight away, allowing engineers to be brought into the Schibsted way with visits to Oslo. The common language, of course, is English. The wages: good, but much lower than in Norway. One hundred fifty. 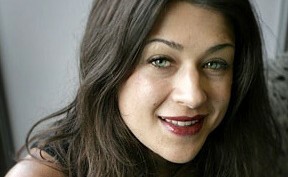 The Washington Post’s Cory Haik (who wrote for the Lab recently about adaptive journalism) and I shared a panel at SXSW’s German Haus, and on it, she said that the Post has about 17 technologists working with her teams in the newsroom. Seventeen is an astounding high number; most newsrooms would only need a single hand to count their devoted-to-editorial tech staff. Yet Schibsted, true to its all-in strategies, has invested substantially in its Schibsted Tech Polska central facility, in addition to housing numerous technologists at its various properties. Schibsted understands that the foundations of media are now based in engineering and analytics, having multiplied that analytics investment just within the last year (“The newsonomics of Little Data, data scientists and conversion specialists”). Some of the staff of Schibsted Teck Polska in 2012. Courtesy Schibsted’s John Einar Sandvand. It was security (Julian Assange and Edward Snowden) and news startups that caught much attention at SXSW this year. Nate Silver and Grantland’s Bill Simmons — both now working for ESPN — interviewed each other on stage. They displayed the swagger of confidence, of being part of something new, shiny, and growing. By contrast, legacy news media were unevenly represented. I didn’t hear of many news companies recruiting techies — the main crowd at SXSW Interactive — to work for them. Be a pirate, not a guard. 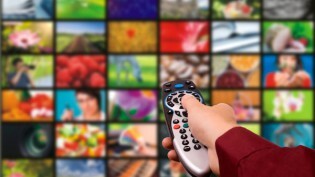 Go after other people’s markets, as VGTV aims in the long term for TV/video advertising. If you are going to do it, do it at scale. Hiring an analyst or an engineer here or there won’t build the future; hiring 150 in Poland might. Photo of a Norway Day celebration (in Stockholm) by Andriy Baranskyy used under a Creative Commons license. POSTED March 13, 2014, 10:27 a.m. Doctor, Ken. "The newsonomics of Schibsted’s VGTV and web-native TV." Nieman Journalism Lab. Nieman Foundation for Journalism at Harvard, 13 Mar. 2014. Web. 19 Apr. 2019. Doctor, Ken. "The newsonomics of Schibsted’s VGTV and web-native TV." Nieman Journalism Lab. Last modified March 13, 2014. Accessed April 19, 2019. https://www.niemanlab.org/2014/03/the-newsonomics-of-schibsteds-vgtv-and-web-native-tv/.